I am so happy that I have had the chance to review The Slice Saftey Cutter, it has turned out to be one of my favorite little devices. I have used the Slice Saftey Cutter for sooo many things already, it is great. The Slice features a finger-friendly microscopic ceramic blade that's quick, easy and a safe substitute for scissors or traditional safety knives. 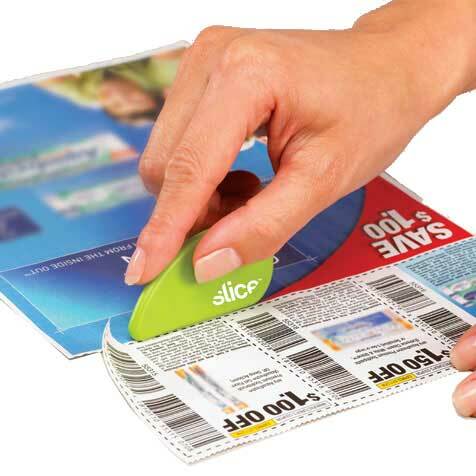 The Slice Safety Cutter - is great for couponers, you can easily cut the coupons you need without the hassle of using scissors and without the mess. 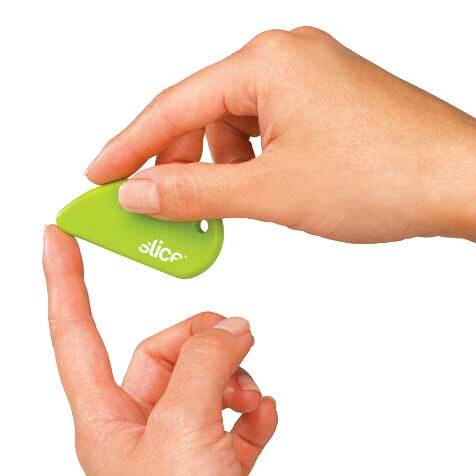 Also, it is the perfect size to carry in your purse so you can clip coupons right in the store, or add it directly to your keychain. The Slice Saftey Cutter also works great with wrapping paper. It is that time of year again where you will be wrapping a ton of gifts. What I hate most about using scissors is that I can never get a clean cut. Well, with The Slice Saftely Cutter I also get a clean edge, and my wrapping looks amazing! The uses for this amazing tool are endless! Slice Safety Cutters are perfect for scrap-booking, clipping recipes, coupons and news articles, removing shrink-wrap, opening CDs, DVDs, plastic packaging, and more. And The Slice Safety Cutter is a great stocking stuffer! Buy it now for only $5.99 – it is the best gift for all those couponing mommies!